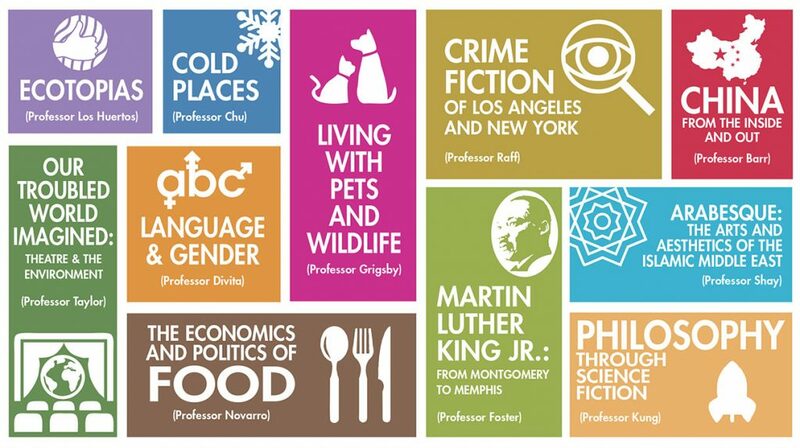 You can always find some of Pomona’s most distinctive courses among the array of Critical Inquiry (ID1) classes offered each year to introduce first-year students to both the rigors and the pleasures of academic life at Pomona. 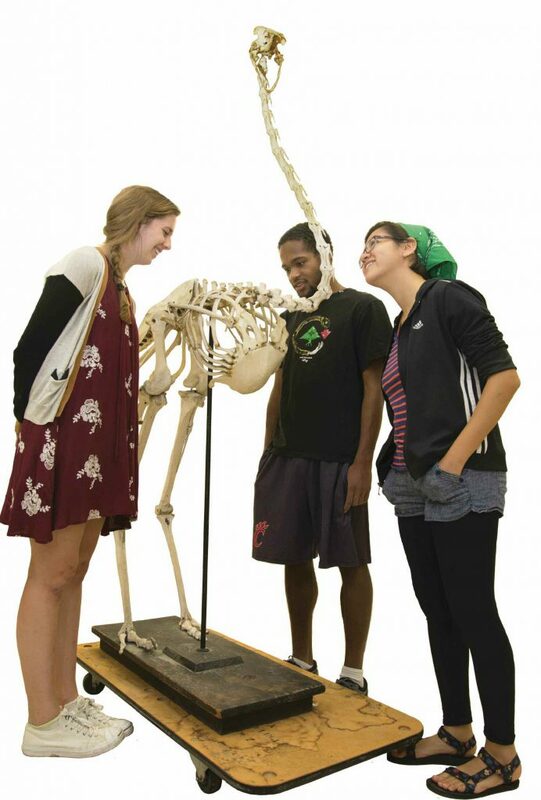 An intellectual rite of passage, ID1 classes require new students to think, talk and write about some interesting, often cross-disciplinary topic. They also give Pomona faculty members an opportunity to create something new based on their own interests and passions. Here are a few of this year’s new offerings. In late August, the Class of 2020 continued the Pomona tradition of “chirping through the gates” to begin their first semester at the College. 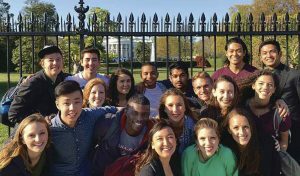 The 5C a cappella group The After School Specials performed at the White House in April, singing their powerful rendition of Lady Gaga’s “Til It Happens to You,” a song about sexual violence written for the documentary The Hunting Ground. Their performance was part of a White House Champions of Change event hosted by Vice President Joe Biden and attended by advocates for various causes from across the country. The singers’ path to 1600 Pennsylvania Avenue was paved by both activism and talent. As participants in the It’s On Us campaign to address the problem of sexual assault on college campuses, the singers won first place at the national Sing for Survivors competition, in which their video performance was judged by such pop music luminaries as Diane Warren, David Foster and LL Cool J. The 18-member ensemble received the White House invitation just a few days before the event was scheduled, so the students took a red-eye flight into Washington, D.C., for their whirlwind visit. Amelia DeSnoo ’16 says they knew the song inside and out and were prepared to deliver a solid performance for the vice president, other senior administration officials and their fellow advocates. “The fact that we sang at the White House means that our voices, advocating for such an important cause, are being heard on a national scale,” DeSnoo says. To see the group’s winning video performance, go to www.pomona.edu/media_colorbox/26506/default/en. 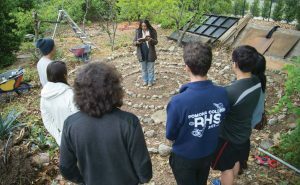 As part of April’s Healing Ways Week, students built a stone-lined labyrinth at the Organic Farm to be used in walking meditations. “We wanted to involve our community in making a public art installation that can be used for ongoing contemplaton, practice, and study,” explains Associate Professor of English and Africana Studies Valorie Thomas, one of the orgqanizers of the weeklong event. Titled “Healing Ways: Decolonizing Our Minds, Our Bodies, Ourselves,” the series of healing-related events also included workshops, lectures, practitioner presentations, art, and performance focused on healing and social justice.“We particularly intended to offer support to students who have been feeling traumatized and stressed by current social events and who are shouldering the work of doing critical thinking and activism,” says Thomas. 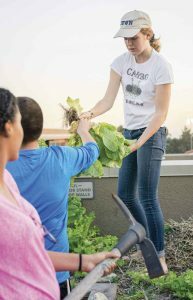 Madi Vorva ’17 has been an environmental activist since the sixth grade, when she and a fellow Girl Scout started a national campaign to pressure the organization to commit to using deforestation-free palm oil in their cookies. 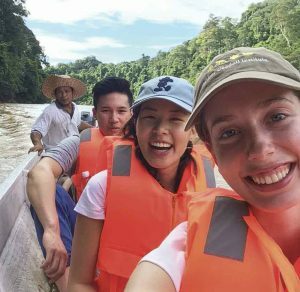 However, until this spring, when she joined a clinic trip to Malaysia and Singapore with the 5C initiative EnviroLab Asia, she had never actually visited the region she was working to save. “This was the first time I’ve been on the ground with these issues, so it was a really meaningful moment for me, and I really appreciated the chance to finally connect my advocacy with my school,” says Vorva. EnviroLab Asia, begun last fall with a Luce Initiative on Asian Studies and the Environment (LIASE) grant from the Henry Luce Foundation, allows participants from The Claremont Colleges to study big environmental issues like water quality, forest health, social justice and deforestation of rainforests to produce palm oil. Among the 5C students and faculty who accompanied Vorva on the trip were Ki’amber Thompson ’18 and professors Marc Los Huertos (environmental analysis), Zayn Kassam (religious studies), Stephen Marks (economics), Wallace Meyer (biology) and James Taylor (theatre). 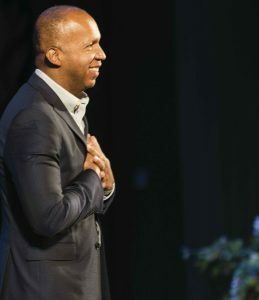 —Acclaimed lawyer and social justice activist Bryan Stevenson, author of Just Mercy and executive director of the Equal Justice Initiative, spoke at Bridges Auditorium and conducted a master class at Pomona as part of the three-day Pomona College Criminal Justice Symposium held on campus in March. President David Oxtoby has announced plans to step down as president of Pomona College at the end of June 2017, bringing to a close what will then be a 14-year tenure. He informed the Board of Trustees of his plans at their February meeting to give the institution ample time to conduct a search for his successor. Board Chair Sam Glick ’04 said the College will make plans to celebrate President Oxtoby’s many contributions to the College at an appropriate time. 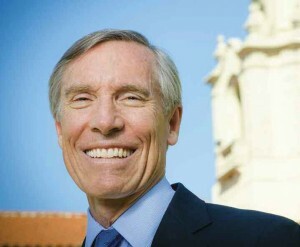 Meanwhile, he said, the Board will begin the task of choosing the 10th president of Pomona College. “Selecting a new leader is the highest duty a governing body has—a duty that my colleagues on the Board and I intend to carry out with humility and careful deliberation.” Glick said.